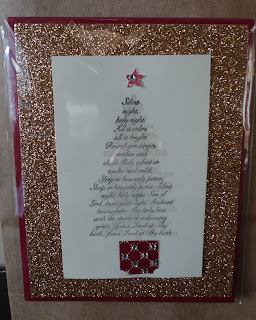 Karina's Kreations: Secret Santa Gift! We had our Coffee talk last night and this was my bag for our Secret Santa exchange. 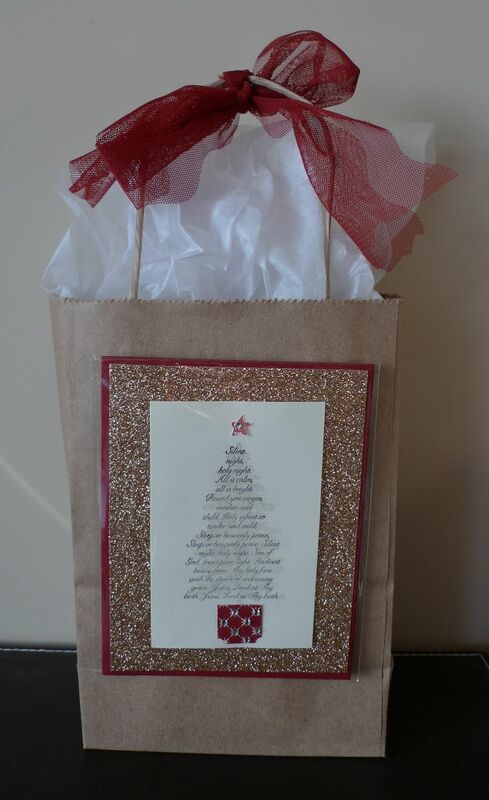 I decorated a bag with a cute card and Cherry Cobbler 3-12/" Scallop Tulle Ribbon #127841. The card was designed by Sandy Hill. Look at all the Champagne Glimmer Paper. I love all the bling!! The stamp set is called Evergreen #127970.